I'm a big fan of spicy crisps especially from a big sharing bag and dipped in mayonnaise or salad cream whilst watching a good movie. These spicy smoky Spanish sausage flavoured crisps seemed to fit the bill. Although I have a greedy nature so it's often difficult for me to share food, especially snack food like spicy crisps. These Burts Spicy Chorizo Crisps sounded just like something I would unlikely be able to share, but nevertheless Cinabar and her mom were awaiting their considerably smaller portions than mine with baited breath. On opening the packet these crisps smelt like spicy chorizo and paprika with a citric lime twist at the end of the odour. The crisps had a deep orange paprika colour to them. These crunchy crisps had a smoky chorizo sausage taste to them, having an almost instant spicy paprika and sweet medium heat chilli pepper flavour with a smoky saltiness to the Chorizo, and a lime twist that followed through into the spicy aftertaste. 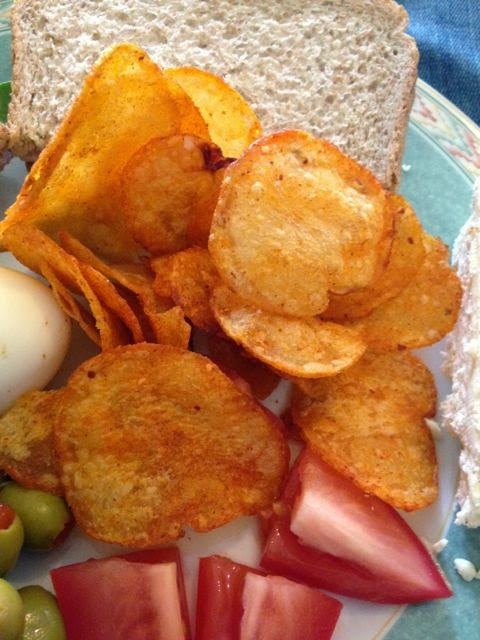 We all really enjoyed these Spicy Chorizo crisps with our lunchtime sandwiches, especially me dipping them into a decent dollop of salad cream. I'll have to get them both to pick up a couple of packets next time they visit the store! 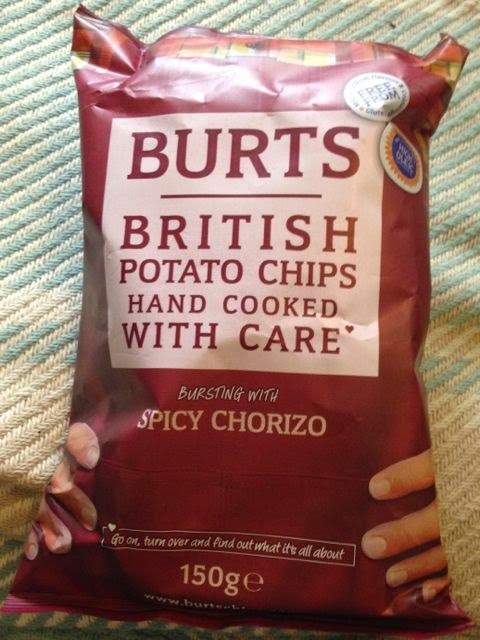 Produced by Burts Potato Chips, in Devon. 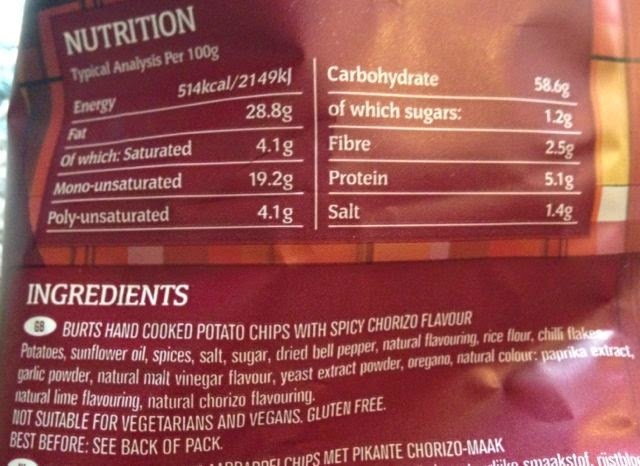 Packaged in a 150g packet these crisps per 100g have 514 calories, with 28.8g of fat and 1.2g of sugar. See photograph for ingredients. No artificial flavours or colourings. These crisps are gluten free, but not suitable for vegetarians and vegans.